Many people dream of traveling on a cargo ship as a passenger. 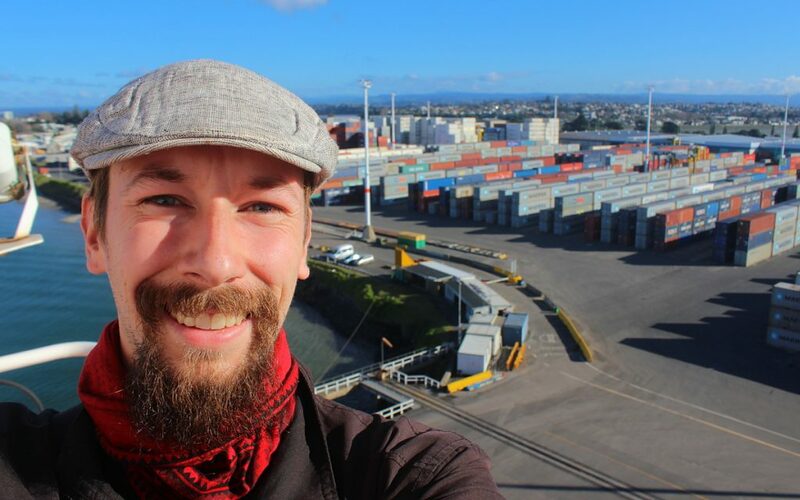 I was one of those people – until I recently realized my dream and crossed the Pacific as a passenger on a cargo ship. To help others get the same experience, I decided to write this guide on how to prepare for cargo ship voyages. By sharing my knowledge, I hope I can make your first trip on a freighter vessel as enjoyable as possible. A basic freighter cabin. The smaller passenger cabins like this one were reserved by the time I booked my voyage, so I had to pay extra for a bigger room. Booking passage on a cargo ship is not as simple as booking a flight. There are no search engines like SkyScanner that would show you all the ships and prices. Instead, you have to either contact freighter companies directly or use a travel agency. 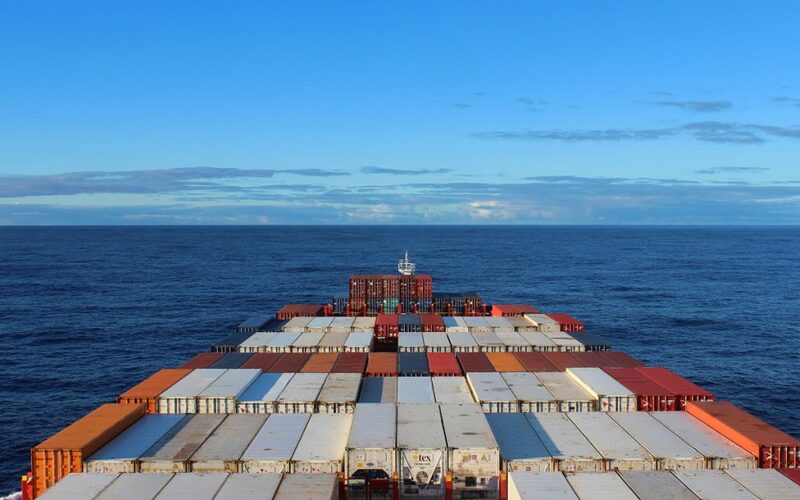 For more information on booking your passage on a cargo ship, check out this excellent article on cargo ship travel on FlightlessTravel.com. Whatever you choose to do, it’s best that you do it early. I recommend that you book your passage on a cargo ship at least a few months in advance. Confirming the booking takes a while, and you’ll also need to sign a bunch of documents before your container ship travel. You also need a doctor to sign a declaration on your health to prove your seaworthiness. Make sure you have enough time to do this, especially if you’re traveling full-time in exotic locations. I quickly learned that getting a check-up with a doctor in Tonga wasn’t as simple as I thought I was. And remember: traveling on a cargo ship is not cheap. The price of traveling on a container ship is usually over 100 euros per day (meals included). Cheap container ship travel is not a thing anymore, so if you want to save money, catch a flight. You can sometimes enter your container ship a day before departure, spending the first night docked at the port. If you’re planning to travel with a container ship, you need to be flexible with your plans. 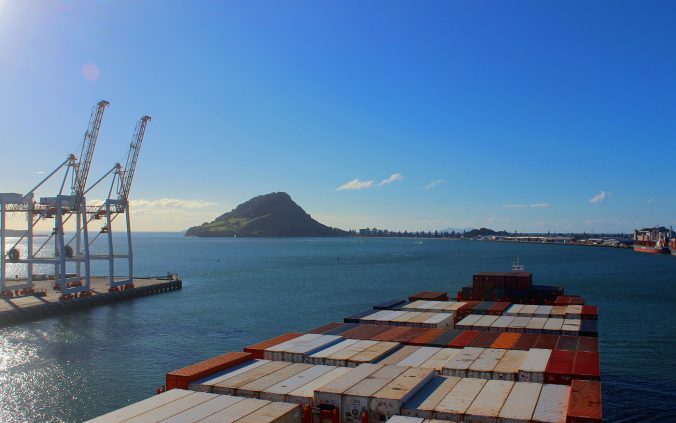 When I first contacted my travel agency (the extremely helpful Freighter Travel), I asked for freighter vessels leaving from Auckland to Los Angeles in July. Instead of my exact route, I was offered a choice between two cargo ship voyages from Tauranga, New Zealand, to Oakland, California. The following day, my travel agent told me one of the cargo ships wasn’t taking passengers any more, so my choices were limited to one freighter ship. Take it or leave it! Even after booking your freighter trip, you need to be adaptive about your departure and arrival times. There’s a lot of variation on the container ship travel times. My ship’s departure was delayed by two days, but we still made it to Oakland for the originally estimated arrival time. 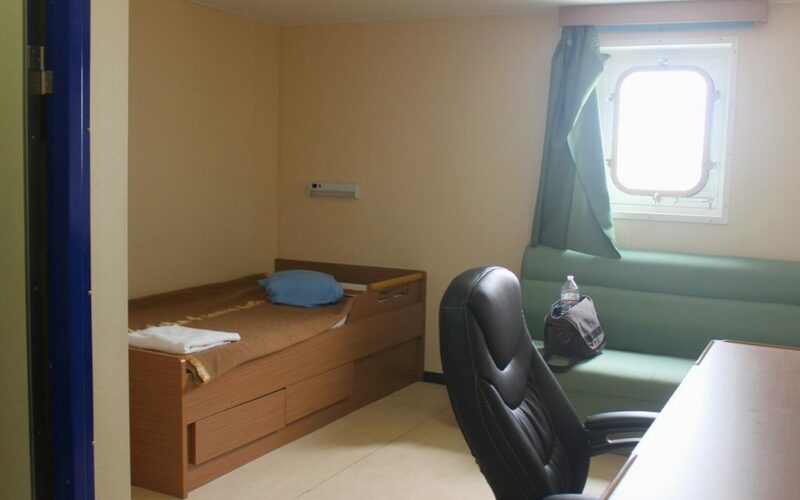 While waiting to board your container ship, it’s good to have an accommodation where you can extend your stay if necessary. Your travel agency or shipping company will give you the contact details of the local port agent – call him a few days before the scheduled departure and he’ll tell you the estimated departure time. There’s also a chance that you can board the ship a day earlier, getting an extra night on board without extra charge. Crossing the international date line might be confusing. If you’re not sure of your estimated date of arrival, ask your travel agent. Now, this one is a bit tricky. Since you cannot be sure about your arrival time, it’s hard to know what dates to put on your hotel/hostel/whatever booking. If you have a local host, this might be easier, but booking an official place to stay might be harder. 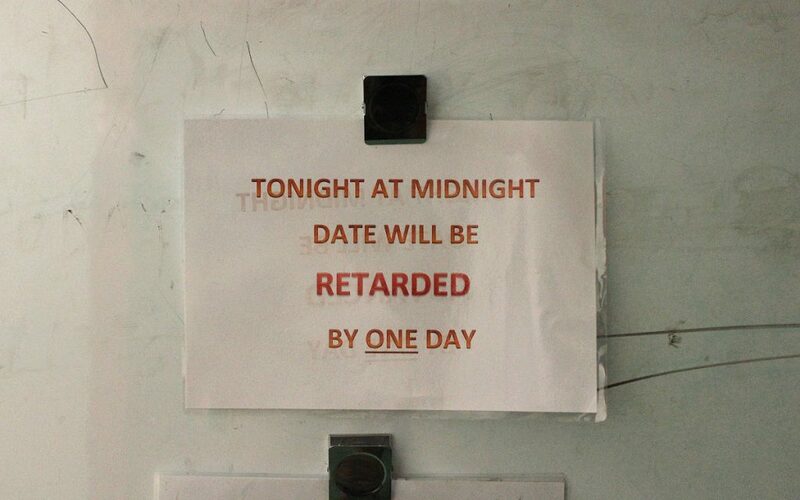 My suggestion: when in doubt, choose an earlier date. You might also want to contact your accommodation in advance, telling not to cancel the rest of your booking if you don’t show up on the first day. You’ll need to pay for all the nights, but that might be better than trying to find an accommodation from a big city late in the evening. In other words, don’t do as I did. While preparing for my container ship travel, I booked a hostel in San Francisco, but I didn’t set my arrival date early enough. Our ship’s schedule changed just a few days before arrival, and I eventually made it to San Francisco in the evening with no place to stay. At that point, I had to pay 200 dollars for a one-star hotel as practically all other options nearby had been fully booked. Worrying about your life on the shore might affect your cargo ship experience. Why all the fuss about arranging your accommodation before freighter travel’? Well, in case you haven’t heard, there is no internet on board a cargo ship. Or there is, but it’s a very expensive, slow and clumsy satellite internet connection. 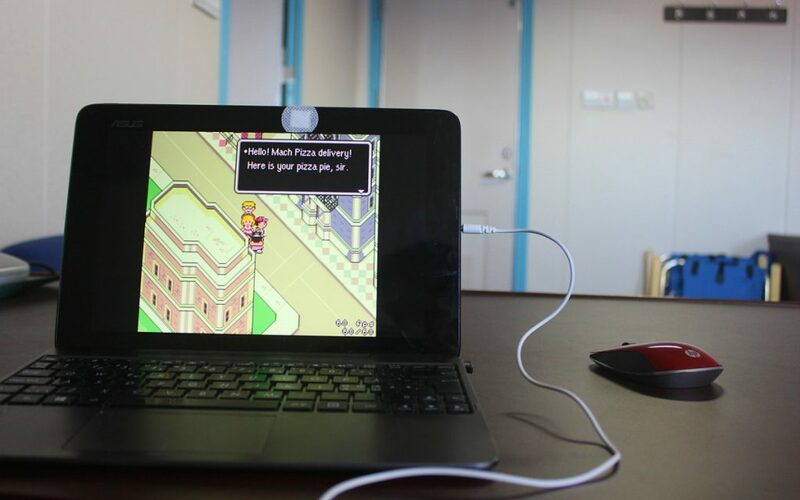 In my ship, using the SeaBrowser for internet cost 7 dollars per 20 megabytes. (In comparison, A HD quality movie might be larger than 2000 megabytes.) And when I used the satellite internet for the first time to try to arrange my accommodation in San Francisco, websites like Booking.com and CouchSurfing didn’t work on the browser! Whatever you need to do, make sure you get it done well before traveling on a cargo ship. If necessary, let others know that you’ll be offline for a while. This will make your cargo ship travel much more stress-free as you don’t need to think about any unfinished work. It had been a long time since I had played video games on my own. My container ship travel experience changed that. You’ll have plenty of spare time on during your container ship travel. Whatever you’re planning to do on the freighter, make sure you have everything you need for it. If you take movies, games, books and other media with you, I recommend putting some light entertainment in the mix. Even though you now have a great opportunity read all the Russian classics you’ve previously skipped, you’ll also want something easy and entertaining that will help you pass time. Our ship only had a very basic gym, but some freighter ships include saunas and swimming pools! While preparing for traveling on a cargo ship, you don’t need to pack as much as entertainment as you’ll probably think. If I had run out of books, the lounge room of my vessel would have had other ones. The same lounge room even had a video game console that I never touched! You need very little accessories for container ship travel. Even the power plugs usually accept all kinds of electronics. As you prepare for traveling on a cargo ship, you might be as stressed as I was about forgetting to pack something very important. However, there’s probably no need to worry. You can wash laundry whenever you want on board, so you don’t need to pack too many clothes for cargo ship voyages. If you get seasick and forget to buy any medicine for it, the officers can supply you. 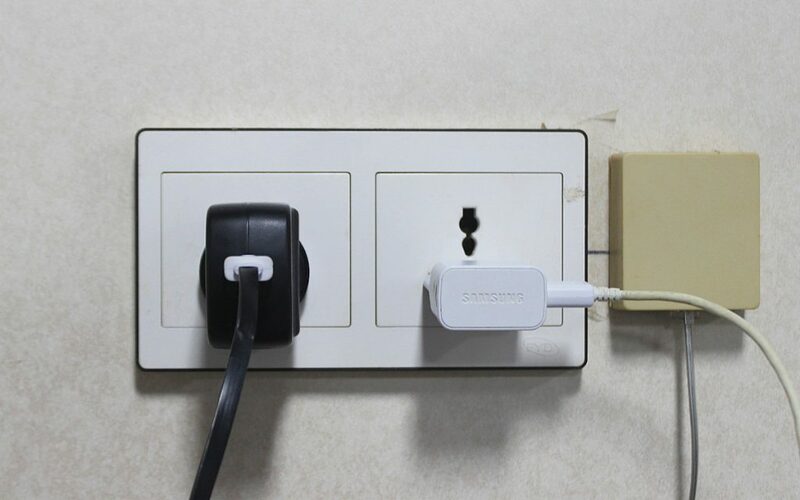 You probably don’t even need an adapter for the power plugs – the ones on my ships accepted practically all types of electronics. And if you still miss something, you can buy basic products like toothbrushes and shampoo from the bond store on board. Just remember to take cash on US dollars with you, as that’s the currency used during your cargo ship voyage. The prices on the bond store are a bit expensive, though, so it’s better to take everything with you. So, is there anything special you do need to pack for cargo ship voyages? Not much. Besides the cash, it’s a good idea to have both sandals/flipflops and shoes with you. The deck can be quite dirty, so the officers request that you use shoes as you walk outside. You might also want to have your own water bottle that you can refill. While preparing for my cargo ship voyage, I was really worried about rough seas. Eventually the worst weather we had was just light rain. My final tip on how to prepare for a cargo ship voyage? Relax. Traveling on a cargo ship is much easier than you might imagine. 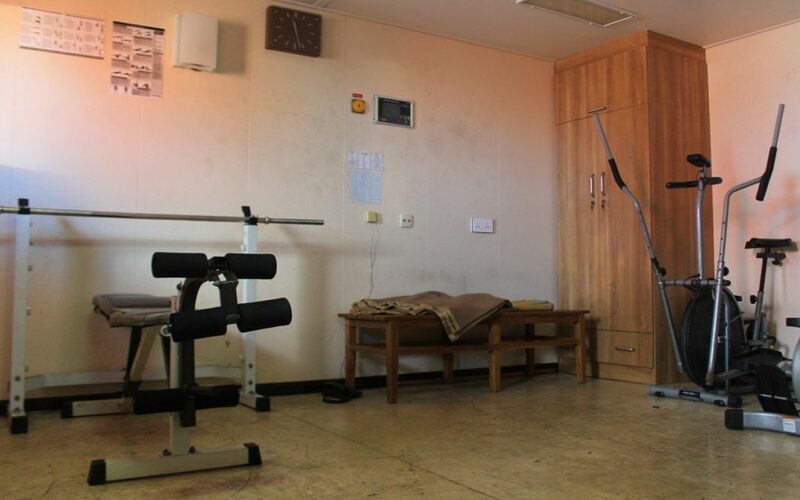 The food is great, the cabins are very comfortable and everything’s taken care of. While preparing for my cargo ship voyage, I was very, very worried about the big waves and getting seasick. Sure, there’s a chance of hitting turbulent weather. However, the captain of the ship checks the weather reports every day and adjusts the speed to avoid any storms and hurricanes if possible. 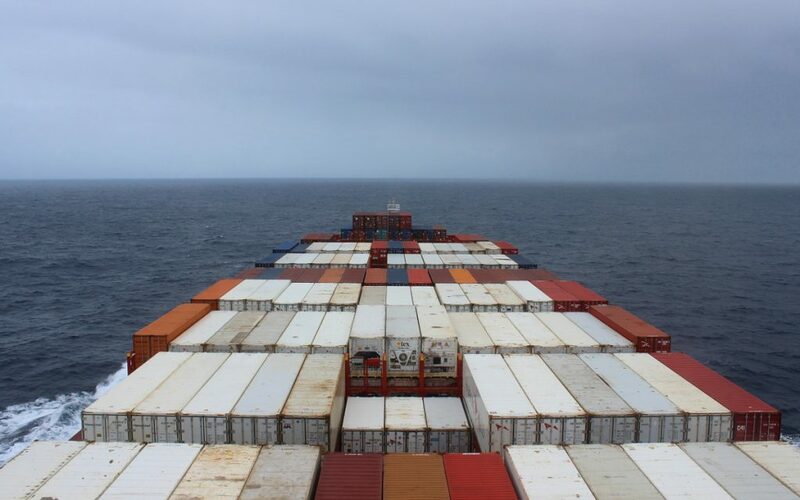 During my 16 day cargo ship voyage, we never hit any waves bigger than 2 meters high. The sailing was so steady that if I ignored the vibrations of the engine, I could almost forget I was on a ship. After all the worrying, traveling on a cargo ship turned out to be a very comfortable and relaxing experience. I hope these tips helped you plan and prepare your container ship travels. If you have any further questions about traveling on a cargo ship, feel free to contact me via email ([email protected]) or write a comment below!